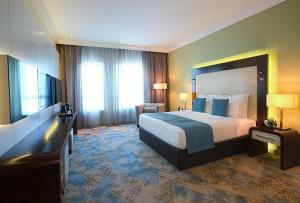 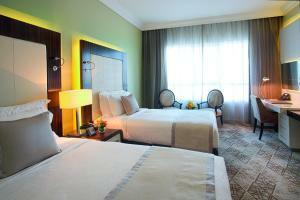 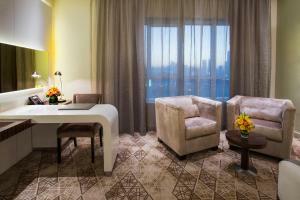 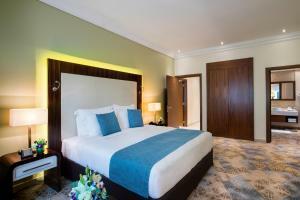 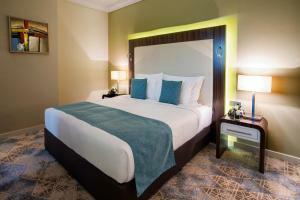 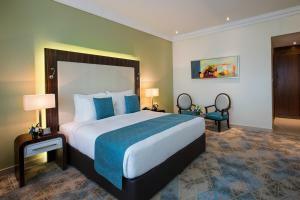 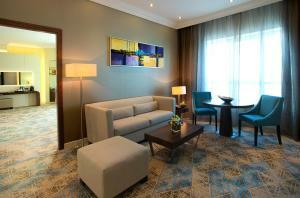 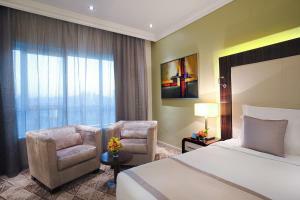 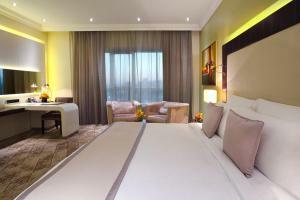 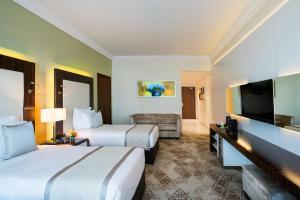 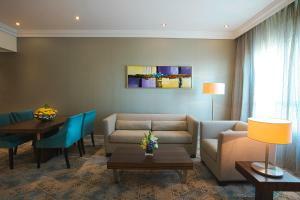 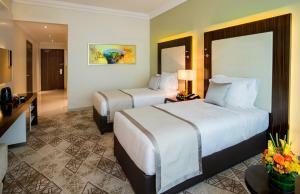 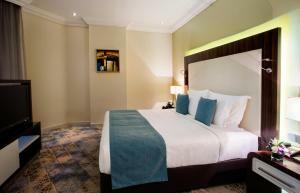 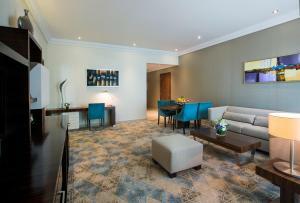 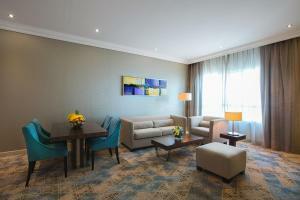 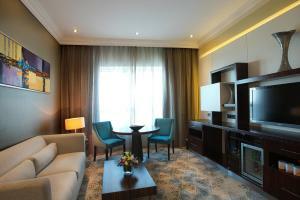 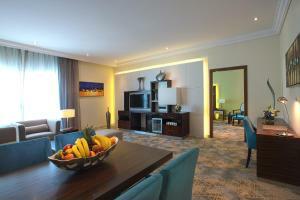 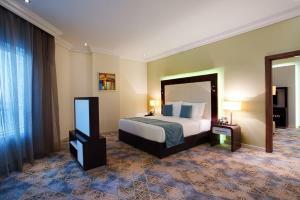 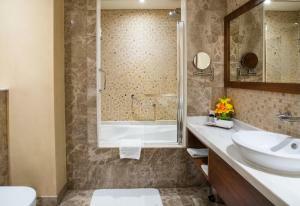 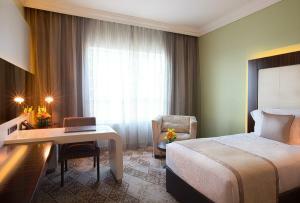 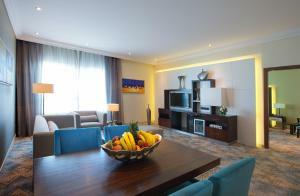 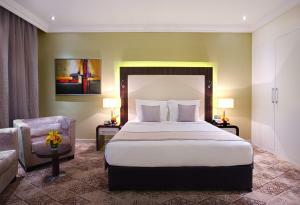 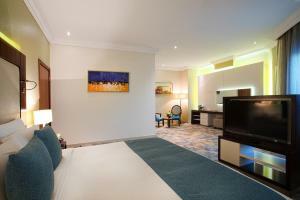 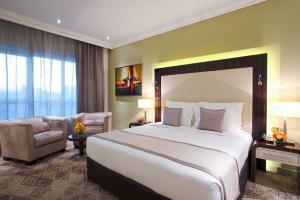 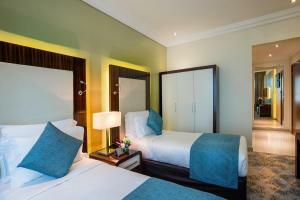 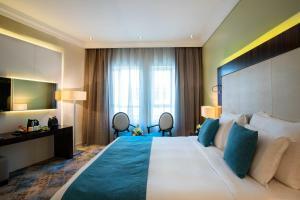 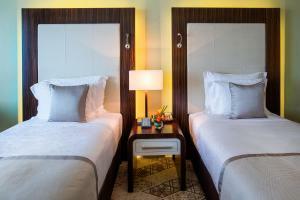 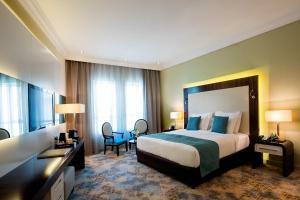 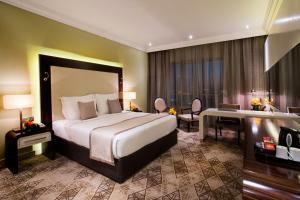 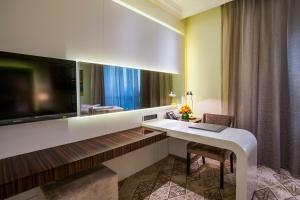 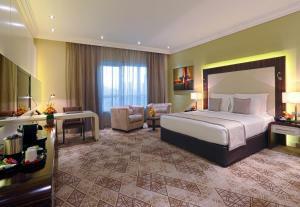 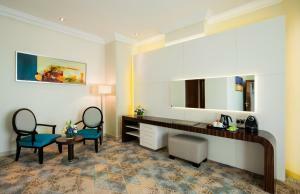 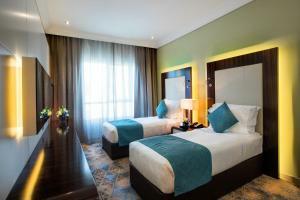 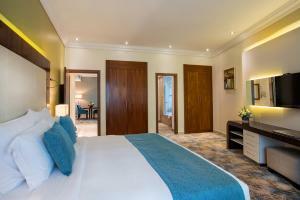 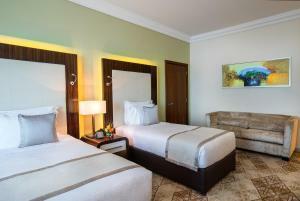 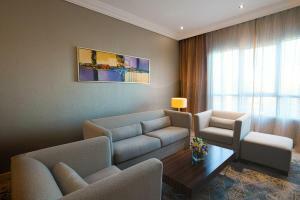 Located in the heart of Al Barsha, this hotel is just a 5-minute walk to Mall of the Emirates. 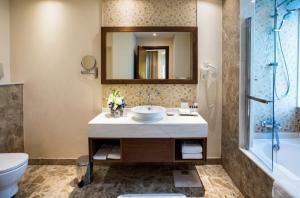 It features an outdoor swimming pool and a fitness centre. 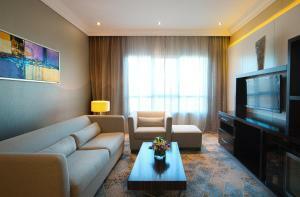 WiFi is free in all rooms and public areas. 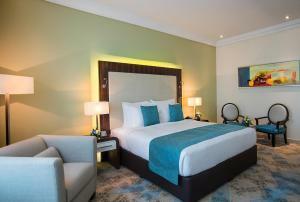 The spacious, air-conditioned rooms and suites at the Coral Dubai Al Barsha Hotel have a seating area with a flat-screen TV. 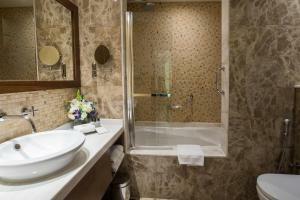 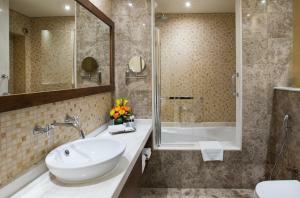 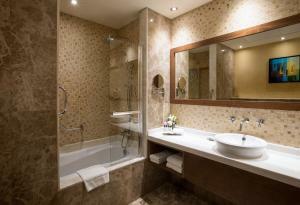 They include deluxe linens and pillows, and the bathrooms have bathrobe and a hairdryer. 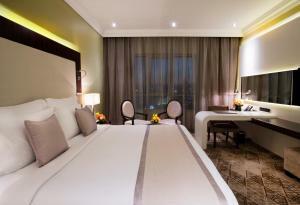 Al Nafoora Restaurant offers a range of International and Arabic dishes with both à la carte and buffet options, while Rumours Cafe offers light meals and pastries. 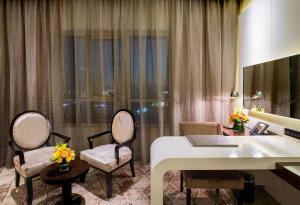 A 24-hour room service is also available. 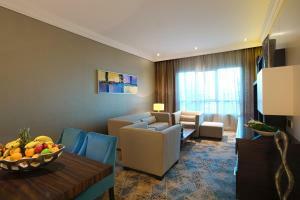 Shisha lounge offers a variety of shisha flavors. 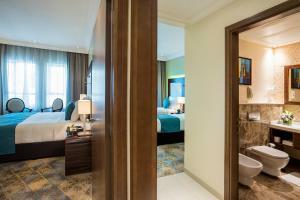 Coral Dubai Al Barsha Hotel is a 10-minute drive from Wild Wadi Water Park and 15 km from the famous Dubai Mall. 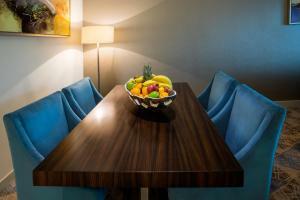 Please note that the Executive lounge is temporarily closed. 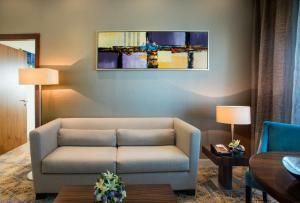 Guests in the Executive rooms can avail the same level of service in Coral Cafe (Lobby level) in the mean time (Extra AED 150 for executive lounge access will be applied). 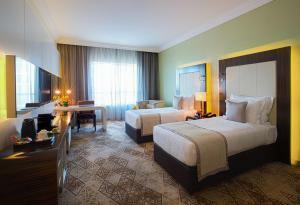 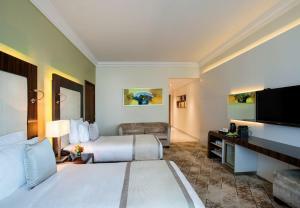 This spacious, air-conditioned room features a media hub with laptop and music player connectivity. 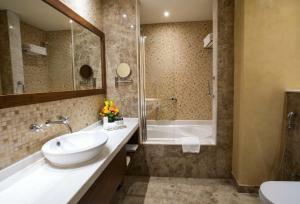 It has deluxe linen and pillows, and the bathroom has bathrobes and a hairdryer.